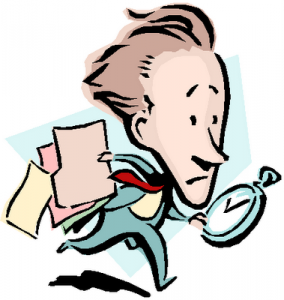 Grant writing takes TIME particularly if you are creating one for the first time. Have you ever visited a foreign country where you don’t speak the language? Its one thing to take a shuttle or a taxi from the airport to your destination but what if you have to get there on your own? Get More Grant Writing Resources Here. My wife and I had a trip to the Dominican Republic one time. If it were up to my sweet bride she’d be at the beach every day of her life. Me? If you told me tomorrow they were rolling up the beach and hauling it off to the moon I’d be fine. We chose this spot because it was the place where we could get our airfare and our our hotels all paid for with points coupled with the grandmothers keeping kids. (I’m a points hog – I never met a points program I didn’t like). In addition to the trip being “free” the resort was all inclusive. The taxi ride from the airport to our spot was too expensive and it was going to take forever to get there on the shuttle so in my brilliance I decided to rent a car. Neither of us had a smart phone with a GPS but that wasn’t going to stop me from taking off on this adventure. After taking the wrong roads twice, realizing we couldn’t read the dang road signs, trying to get my wife to remember just a piquito of the Spanish she took in college it was a disaster. The airline had already lost our luggage and it started to rain as we finally pulled in to the hotel close to midnight. We got there but it wasn’t pretty. First time grant writing can be just like my driving in the Dominican Republic. You don’t speak the language. The road signs make sense to some people but not to you. It looked easy on a map until I got into the middle of it. There is the time you need for putting the grant together. There is copying if the grant is a paper application. Researching all the information you’ll need to complete the grant. There are a bunch of blanks to fill in. Check and re-check your work. It’s no fun having the grant agency send your application back because you left off section 23 part 6 subpart 9. This takes “doing time”. Then there is the learning curve time. It’s learning the road map. Government loves acronyms and terms that make perfectly good sense to them but not to everyone else. Think if all those military terms like AWOL and SANFU. In government language there is the SF 424-C and the Phase One Environmental Survey. If you have to stop the “doing time” to do the “learning curve” time. Finally there is the “processing time”. Once the application is submitted there is a pretty good shot you have left something out. Or maybe a box wasn’t checked. Its not very likely the person reviewing you application is going to send you a Face Book message or call your cell to ask for some clarification. You’ll get some kind of communication back- maybe by email – detailing what needs to be shored up in your application. Now you have to send back all the thing they just emailed to you. More time. Taking up my time on things that are “non-starters” isn’t my idea of fun. That’s why we offer a free consultation to determine what the chances are you’ll qualify for a grant at all. We don’t want to waste time running down a road that leads to nowhere. Back to our trip, the morning after the day or our arrival I returned the rental car. Then I promptly found out when the shuttle left that would get us back to the airport. So before you begin to write a grant ask yourself do I want to take the shuttle or drive yourself?